Applicability of geopolymer binder, as one of the environmentally friendly materials in geotechnical constructions, can be evaluated by the compressive strength. Due to the difficulties and time-consuming process of experimental studies, soft computing approaches would be considerable. 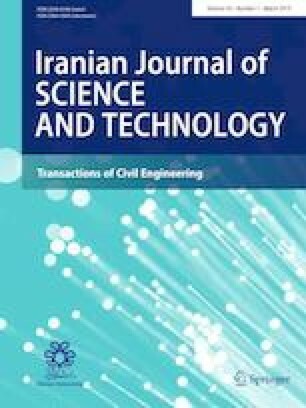 Feasibility and the performance of the neural network-based group method of data handling (GMDH-NN) and artificial neural network (ANN) for unconfined compressive strength (UCS) prediction were investigated in this paper. Ground-granulated blast-furnace slag was used as geopolymer source material, and the alkali activator was sodium hydroxide solution. According to previous researches, soil plasticity index, ground-granulated blast-furnace slag percentage, the molar concentration of activator, activator-to-binder ratio, sodium-to-alumina atomic ratio and silicate-to-alumina atomic ratio were chosen as essential parameters for mechanical behavior of stabilized soil and consequently as the input parameters for the purpose of UCS prediction. The statistical results of this study showed that GMDH-NN and ANN are reliable approaches to be utilized for geopolymer stabilized soil UCS value prediction. Performances of these two methods for predicting unseen data were acceptable based on the coefficient of determination which is 0.9677 and 0.9741 for GMDH-NN and ANN techniques, respectively. Moreover, a novel direct formulation is provided employing a GMDH-NN method which can be used for ease of UCS calculation.